The 2010 hurricane season is off to a slow start and for all of us who worry about Florida hurricane damage that is a good thing. Even though things have gotten off to a slow start hurricane forecasters are warning Floridians not to let their guard down as there is still a good chance we could have an active Atlantic hurricane season. The revised storm forecast from August 5 was slightly down from the original prediction for 2010 but it was still higher than the average. Researchers are now predicting upwards of 20 storms and as many as 12 of those to become hurricanes. So far this hurricane season has produced two tropical storms and another couple hurricanes. According to a story on TBO.com hurricane researchers say none of the conditions that led them to predict an active hurricane season have changed up to this point. The Atlantic hurricane season is just getting ready to heat up as the calendar approaches September. This is the point in time that the Atlantic becomes a breeding ground for storms according to the TBO.com story. Currently there are two potential threats already brewing in the Atlantic. It is the first of the Cape Verde storms that do not start to form until this time of year due to conditions in Africa where the storms form. The hurricane activity has been at a very high level since 1995 due to much warmer temperatures in the Atlantic Ocean and trade winds that have been weakened. Both of these factors play a role in Florida hurricane development. This has played a big role in the amount of dangerous hurricanes in October, which were very rare up until recently. 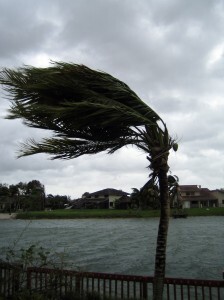 There has been one hurricane with winds of more than 100 MPH on average each year in October since 1995.